Today! Tell your Senator to vote for FOSTA+SESTA package. Call your Senator today and urge that they vote "yes" on the FOSTA-SESTA package. Congresswoman Ann Wagner's (R-MO) FOSTA-SESTA package passed the House with overwhelming support. The final vote was 388-25. The bill is in the Senate, where a vote is expected Wednesday, March 21. Senators Portman and Blumenthal have been tireless, leading support for passage of a clean bill. But they, and we, need your help to ensure passage. 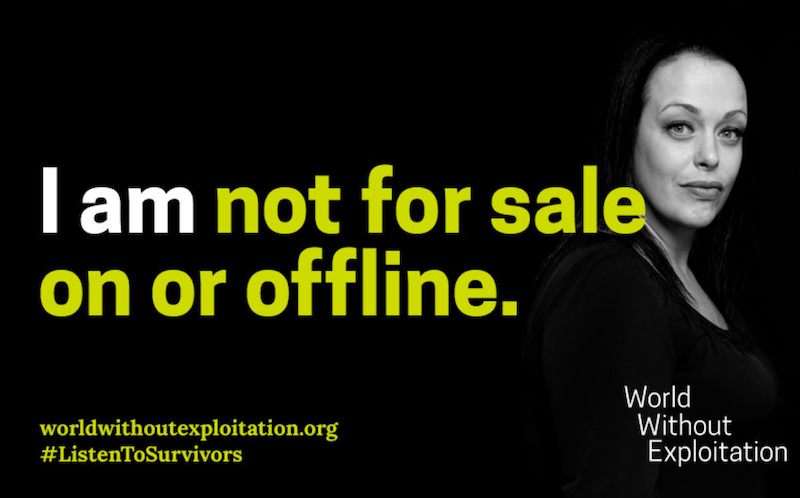 We're very close to passing historic legislation that will help those who are trafficked online by holding websites accountable that knowingly facilitate trafficking. Call your Senators today! Urge them to pass a clean FOSTA-SESTA bill. "My name is ___ and I live in ____ (State). I am calling to express my strong support for the FOSTA-SESTA package. I would like to Senator _(Name)_ to support FOSTA-SESTA so that survivors and states finally will have the legal tools to go after websites that are knowingly facilitating human trafficking, and oppose any amendment that would weaken the bill. Thank you." Call the Senate switchboard 202-225-3121 to be connected to your Senator's office.